Today concludes a three-part series by guest blogger and CRNA Kim Zweygardt about what really happens in the OR. Kim took on several FB questions regarding anesthesia and the OR that I thought would be great info for writers. Thank you, Kim for sharing your expertise with us. Follow the links for Part I and Part II. 7. How aware are you under anesthesia? And I’ve heard sometimes people wake up during surgery but you give a medicine so they don’t remember. Is that true? Let me answer the second part first. As I mentioned earlier, we give a combination of medicines in anesthesia and some drugs have an amnestic effect. So yes, there are drugs that we give you that provide amnesia so you don’t remember what happened. They can be given as part of a general anesthetic or as a sedative. But there are times someone says they “woke up during surgery” when they were sedated not anesthetized.” So what constitutes being asleep for surgery? For us, being asleep is a general anesthetic where you are so deeply unconscious that we are assisting your breathing. But, sometimes the actual anesthetic is a spinal, another nerve block or a local anesthetic. Because most people don’t want to know what is going on, we will give you sedation and you take a nap during the surgery. From our perspective, you are not “asleep,” you are napping, but from your perspective, you went into surgery and “went to sleep!” That causes confusion. I have patients tell me they woke up during their surgery. When we give you medicines to nap, you may wake up and be aware of what is going on. I tell patients that the difference is if I want to talk to you, I can call your name and ask you how you’re doing. You’ll wake up and talk to me and then when I leave you alone, you’ll drift back into your nap. But if you have a general anesthetic, I can talk to you all day and you won’t answer because you are totally unconscious. As far as awareness, it depends on whether you are sedated (you may remember some things) or have a general anesthetic (you should not be aware during the operation). We’ve all heard the horror stories about people being awake during an operation. It does happen but is very, very rare. 8. How do you let the doctor know you are awake during the anesthetic? As I said, true awareness is very rare. When it happens (or when they make awful movies about it) it makes the headlines but don’t forget that hundreds of thousands of anesthetics are done every day without awareness. I mentioned before that the amount of anesthetic you need is based on how much surgical stimulation there is (fancy way of saying how much it hurts). Even when you are anesthetized, your body still responds to pain if the anesthesia isn’t enough. The heart rate goes up. The blood pressure goes up. You will even have tears when it hurts. That is one of the reasons we are watching you every moment. If we see those changes, we can give you more medicines so that your body doesn’t have that stress response. The patient “tells” us the anesthetic needs to be deepened by all those changes in vital signs. 9) What do people say while they are asleep? When I became a CRNA, we used Sodium Pentothal which was famous in movies as “truth serum.” It was a common question then about what they might say during an anesthetic. For “truth serum” very small sedative doses were given so the person was groggy. The thought was they were too drowsy to lie! But for anesthesia, a large dose is given so the patient is asleep in minutes with no time for conversation! I once interviewed a man who questioned me extensively seeking assurance he wasn’t going to say anything because of “that truth serum!” He even sent his wife out of the room while he questioned me further! I always wondered what he wanted to hide! Now we use a drug called Propofol. It works even quicker than Pentothal so rest assured, if you are going to sleep (general anesthetic), you’re not giving away any secrets! 10. What is the strangest thing you’ve heard someone say under anesthesia? I once put a known psychic to sleep. The case was added on to the end of a long surgery day because the patient had forgotten to come for surgery the day before. (Which I found funny since she was a physic. Those of you who know me personally, get my sense of humor!) She was a very pleasant woman and when questioned didn’t mention anything about having problems with anesthesia in the past. She was completely anesthetized when the surgeon stuck his head in the door to ask, “Did she tell you she has a history of recall during anesthesia?” Well, no, she hadn’t mentioned that small detail to me! I immediately turned up the anesthetic gas and gave some other medicines and but as I did, in a spooky séance’ type voice said, “If you can hear me, let me know!” As soon as the words were out of my mouth, her pulse went up significantly and I am sure she was doing exactly that although I never had the heart to ask after I woke her up! Years later I read a fascinating article about the subconscious mind and anesthesia awareness that made me think of her but that is another post! 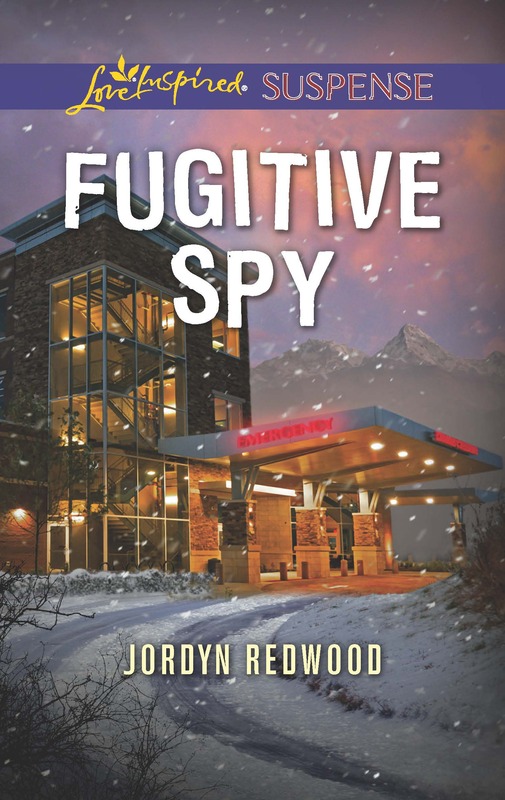 Kim Zweygardt always knew she wanted to be someone special. Her heart’s desire when she was 7 was to be a famous ballerina but when she read their toes bled from dancing on them, it became a less desirable career choice. Then Kim decided to be a famous lawyer solving mysteries and capturing the bad guys just like Perry Mason, but as she got older she discovered sometimes it was hard to tell just who the bad guys were. 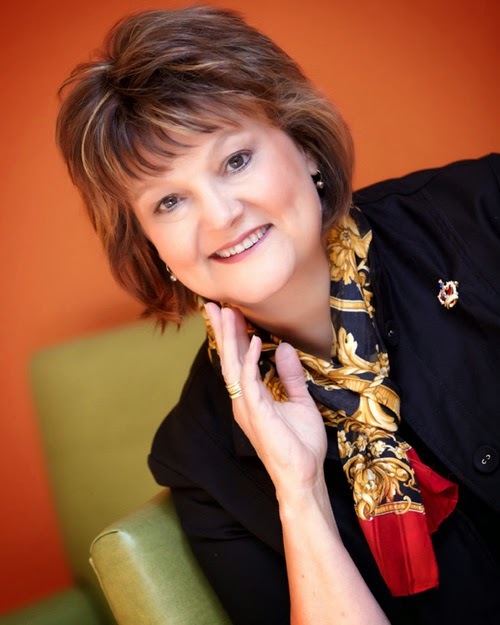 Instead Kim chose a career in medicine practicing the art and science of anesthesia as a Certified Registered Nurse Anesthetist in rural Kansas, Colorado and Nebraska. Kim is married to Kary, the man of her dreams, who has done a fabulous job of making all her dreams come true. They have three children but an empty nest and enjoy conversation with friends over good coffee and great food. They enjoy travel, the arts and taking a nap. I’m continuing with a three part series written by guest blogger Kim Zweygardt on what really happens while you’re under anesthesia. Great information for authors. With almost all surgeries, you are breathing extra oxygen that isn’t normally humidified and can really dry your throat out and cause it to be sore. Sorry about that! With bigger surgeries, we insert devices to maintain your airway. Anesthetics depress your breathing and these devices allow us to breathe for you to make sure your body gets all the oxygen that it needs. They are made of soft plastic, but they can irritate and cause a sore throat after surgery. And some people have anatomy that makes the insertion more difficult and that can also cause a sore throat. As a general rule, the sore throat is gone in about 24 hours. Treat it like a normal sore throat–pain meds and warm fluids help lots. I could give you lots of technical mumbo jumbo about how drugs are metabolized but I think the more important thing to remember is this: We give you medicines based on your weight and that health history we took but also based on what type of surgery you are having and how uncomfortable that surgery is! It’s not the same amount of pain to have eye surgery or your gall bladder out. We give you these drugs so you will be comfortable and/or asleep, depending on what the surgeon is doing–that even varies at different times during the surgery because some parts of the operation may be more pain producing than others. A few minutes later, the surgery is over and what was the perfect amount of anesthesia now has you really sleepy because that stimulation is gone. We can reverse some of the medications but we also let your body gradually metabolize them so you are groggy and comfortable after surgery. And just like when you are fast asleep at home and someone wants to bug you? You’d rather be left alone! 6. I was told to think of something pleasant as I went to sleep and I woke up great! The doctor said how you go to sleep is how you wake up. Is that true? There is a lot of truth to this. When you are anxious you release all kinds of stress hormones into your bloodstream and that can translate into a very rocky anesthetic including wake up. Thinking of something pleasant causes you to release endorphins which is like the body’s own morphine. That sense of wellbeing carries over as well not to mention the power of positive thinking! One technique I use with teenagers who tend to wake up wild is to explain to them pre-op how it will feel waking up and what I want them to do. Because they have had a chance to think about it ahead of time, when I tell them surgery is over and they should lie still, they do it because even through the “waking up fog” their subconscious remembers my words. Anything we can do pre-op to allay anxiety makes for a smoother waking up. Tune in next post for Part III. 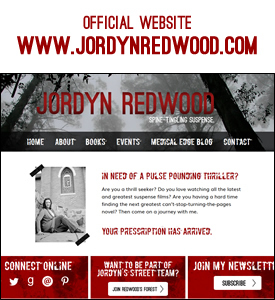 A fellow writer and good friend of mine is a CRNA– certified registered nurse anesthetist. That means she was first an RN and then specialized in anesthesia. 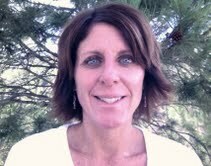 Kim works in a rural setting delivering primary anesthesia care covering thousands of patients. If it weren’t for CRNA’s like Kim, people living in rural communities would likely have to travel hours (or be transferred by EMS services very expensively) for even minor procedures. Kim put out a call on her FB page for questions about anesthesia that I thought would be good info for Redwood’s readers. 1. Why do I have to answer so many questions before surgery? One common misconception about anesthesia is that we just give you some magic drug that makes you sleep for as long as surgery takes. It actually is a lot of different drugs that work in different ways and that your body metabolizes in different ways. Some drugs last different amounts of time. Some drugs depress the heart or aren’t good for people with lung problems. We ask all those questions so that we can give you the best anesthetic for you! And that’s another thing–we don’t really care or judge you about things you do or don’t do. We just want to take the best care of you so don’t lie to your CRNA! If you have had something to eat or drink, taken a medication, or if you drink, smoke or use drugs, tell us! It could be life or death! 2. I thought only doctors gave anesthetics. 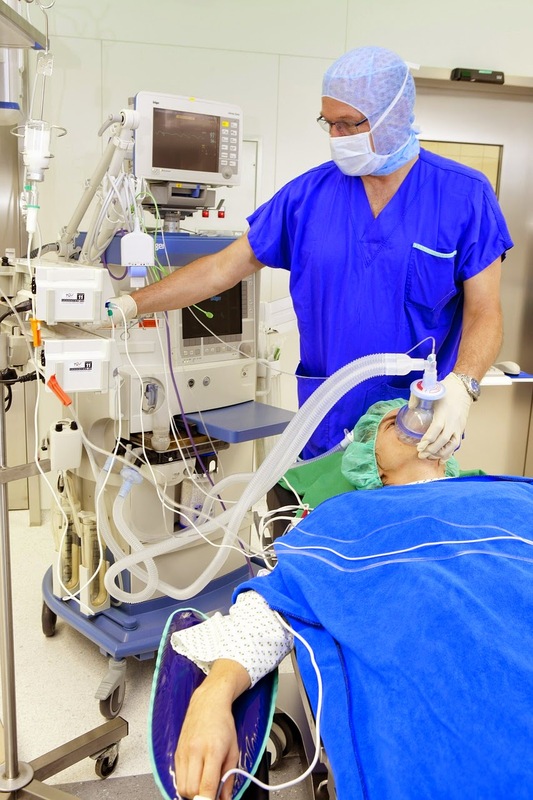 What is the difference between a CRNA and an anesthesiologist? Nurses were the first anesthesia providers and have been safely providing anesthesia since the late 1800’s. We were the first Advanced Practice Nurses and have the most autonomy of any nursing specialty. CRNAs provide anesthesia in all 50 states and our military men and women are cared for by CRNAs around the world. Over 60% of all anesthetics are given by CRNAs. The main difference is where our training begins. A CRNA goes to nursing school, works as an RN in Critical Care and then completes both clinical and didactic training in anesthesia to become a CRNA after passing boards. An anesthesiologist goes to medical school and then completes a residency with clinical training in anesthesia. Often the cases and textbooks used are the same and many large teaching hospitals train both CRNAs and their doctor counterparts side by side. Over and over studies have shown no difference in safety and outcomes between CRNAs and MDs, so no, you don’t have to be a doctor to do anesthesia. Now for the more interesting stuff! 3. Where do you go while I’m asleep? Nowhere! We monitor you heart beat by heart beat and breath by breath to make sure you are getting exactly the amount of anesthesia that you need. Our only job is to take care of you during surgery! We don’t leave you from the time you come into surgery until we take you to recovery. And, we don’t leave you in the good hands of the recovery nurse unless you are stable. We are your advocate, asleep or awake! We’ll continue with Part II next post. 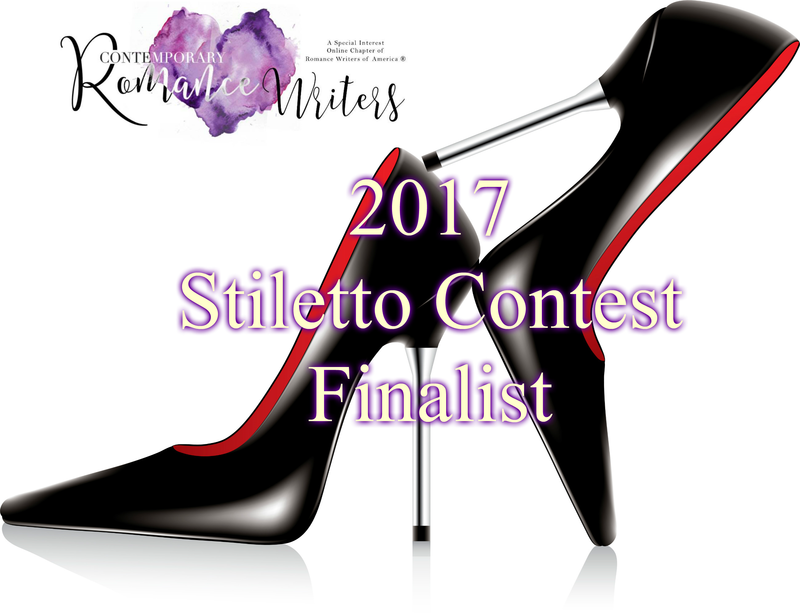 I’m pleased to host anesthesiologist and suspense author, H.S. Clark, as he discusses his thoughts on epidurals. Very informative post. 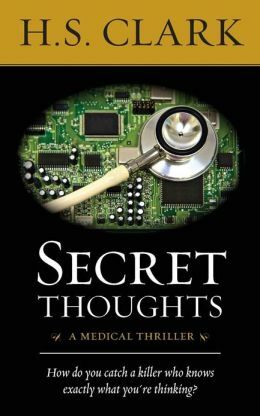 I hope you’ll check out his medical thriller Secret Thoughts available on Amazon. 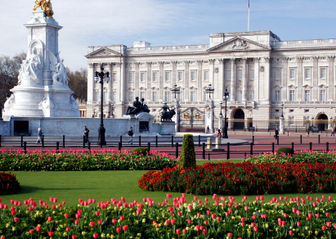 On the morning on April 7, 1853, a little known innovative physician, Dr. John Snow, was called to Buckingham Palace to administer Chloroform anesthesia to Queen Victoria for the birth of her fourth child, Prince Leopold. The Prince was healthy, and the Queen did not feel the pain of childbirth. That was the beginning of the end for “natural” childbirth, and the dawn of modern anesthesia for labor and delivery. Now, 25% of mothers give birth by Caesarian section, and 75% of the remaining vaginal births receive either a spinal or epidural anesthetic, so that leaves less than 20% to experience “natural” childbirth. We know now that the designation “natural” does not mean medically superior. The pain and stress of labor and delivery raises maternal blood pressure, increases circulating adrenaline, impairs breathing, and interferes with muscle control and fetal descent, all to the detriment of both mom and her unborn baby. Pain also leads to expulsive deliveries that increase the occurrence and severity of pelvic lacerations. We’ve now progressed from Chloroform to the use of epidural anesthesia. Small amounts of local anesthetic placed in the lower back near the spinal nerves set up a regional block of the bottom half of the body. It’s like two cops stopping all the highway traffic with a roadblock. Modern epidural anesthesia reduces stress for mom and baby, which is especially helpful if the baby is medically compromised. Epidurals are used not just for pain control, but also as an active tool to manage labor and delivery, and to provide flexible options, safety, and control that is not possible during “natural” childbirth. Unlike the early days of epidural anesthesia, modern epidural methods do not slow labor, have minimal effects on the unborn child, and often help to speed labor and fetal descent. But in medicine, there is always a down side. Epidurals are wonderful, when they work. Even in the most skilled of hands, epidurals are highly technical, difficult to place and maintain, sometimes marginally effective, and frequently fail. They are best placed after the labor is well established, usually at 3 to 5 cm of cervical dilation. If labor is rapid, there may not be adequate time to place an epidural. Minor complications include a 1% chance of a migraine-like headache that may require treatment, and the rare possibility of nerve damage, seizures, infection, or other life threatening problems. Techniques, drugs, equipment, and monitoring used during an epidural anesthetic are all geared toward preventing complications. Epidurals are usually an elective choice, but not always. There are labor situations in which epidurals may be mandatory for the safety of both mom and baby. Anesthesia for childbirth is unique because the anesthesiologist must treat two patients at once, each one with very special needs. Epidurals are used by default, because other methods of pain control have unacceptable effects on mom or her unborn child. The delicate balance between pain control and safety during labor and delivery is like a tightrope walk. I wonder if Dr. John Snow realized what he started on that foggy April morning in London. I’m so pleased to host a new guest blogger, Dr. Kate O’Reilley, anesthesiologist extraordinaire. Today, she’s talking about an anesthesiologist’s main job– putting you to sleep– in a good way! Anesthesia is all about passing gas (no pun intended!) 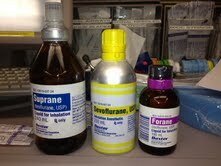 The most common anesthesia gases administered in operating rooms today include Sevoflurane, Desflurane, Isoflurane, and Halothane. The gases, which are also referred to as volatile anesthetics, can be given to a patient in one of two ways. 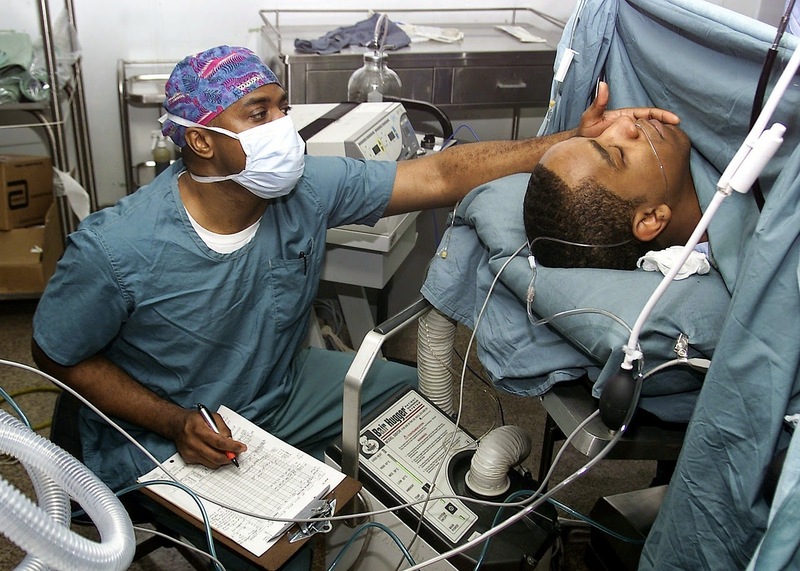 The first method involves the anesthesiologist simply holding a mask over the patient’s face and having the patient spontaneously breathe in a mixture of gas and oxygen. The second method employs the use of a ventilator that is attached to a breathing tube inserted into a patient’s airway. Similar to the first method, the ventilator delivers a mixture of volatile anesthetic and oxygen to the patient’s lungs. All of the anesthetic gases have similar effects. They cause sedation, muscle relaxation and amnesia – the three components to an ideal general anesthetic. The gases have slight differences in how they are metabolized, toxicities, dosages, and degree of cardiovascular depression. Induction of anesthesia is simply the process of taking a patient from an awake, conscious state to a state of unconsciousness. With adults, this process is usually achieved through the intravenous administration of a series of drugs. Once the patient is unconscious and a breathing tube is placed, the anesthesiologist turns on one of the gases to an appropriate concentration, and uses the gas to maintain anesthesia during the operation. With children, we rarely have the luxury of a preoperative intravenous line. It’s simply too difficult and traumatizing to place an IV in the little rascals while they’re awake. As a result, anesthesia in children is often induced with gas instead of drugs. Once the child is asleep, an OR nurse places and IV and surgery commences. Watching a patient being anesthetized by gas alone is an interesting process. It’s the only time one is able to see the distinct stages of anesthesia. The first stage of anesthesia is a state of voluntary excitation and euphoria. It lasts from when the patient is awake until they are rendered unconscious. Until the patient is unconscious, their movements are purposeful and they can follow commands. Stage 2 of anesthesia is a stage of involuntary excitation. In this stage, patients my flail their arms and legs, giving the appearance of being combative or agitated. However, they are completely unaware of their actions. When parents accompany their children to the operating room for induction, this stage is usually unsettling for them to witness. The third stage of anesthesia is the stage of surgical anesthesia. In this stage, the patient has reduced muscle tone and will not respond to surgical stimulation. This is the stage where we want patients to be during the operation. Stage 4 of anesthesia is where we aim not to be. It is the stage where there is severe cardiovascular and respiratory depression. If allowed to persist, this stage could result in death. So once the patient’s surgery is done, how do we get rid of the gases? We simply turn the gas off. Over time, the patient breathes off the gas and eliminates it from their bloodstream. Often times, as patients wake up, we will see the stages of anesthesia in reverse. 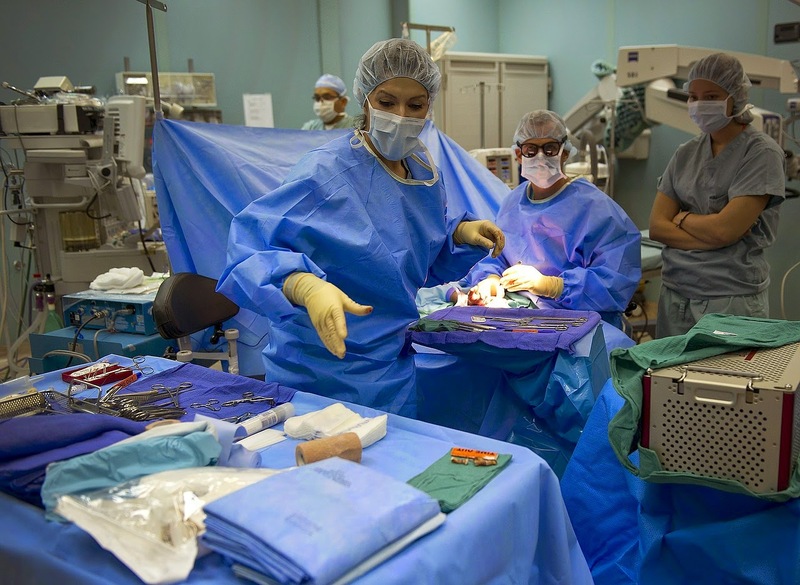 As patients pass through the second stage, they often need to be restrained in order to protect them and the operating room staff from injury. Once a patient returns to stage 1, they may continue to be groggy and somewhat disoriented, but they should be able to follow simple commands. Only once a patient has returned to stage 1 is it safe to remove a breathing tube. I hope that helps explain a little about anesthesia gases and how they work. If there are any questions, always feel free to email me at kateoreilley@gmail.com. Kate O’Reilley, M.D. is a practicing anesthesiologist in the Rocky Mountain region. In addition to being a physician, she has also written two books, both of which are medical thrillers. She plans on releasing her first book, “It’s Nothing Personal” in the near future. When not writing, blogging or passing gas, Kate spends her time with her daughter and husband. Together, they enjoy their trips to Hawaii and staying active. Please visit her at her website, http://www.kateoreilley.com/ , and her blog www.katevsworld.com.